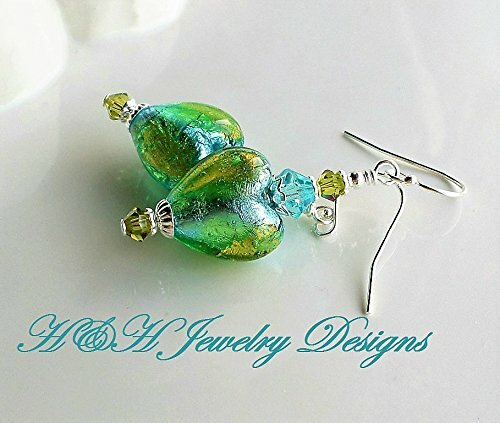 These new earrings feature genuine Murano glass beads done in the shape of hearts! The white gold foil is layered over Aqua and Lime glass creating this stunning design! The hearts measure 13mm each so they are a medium size. Above and below I have added matching Swarovski Crystals and sterling silver french ear wires. Length: just under 2 inches.